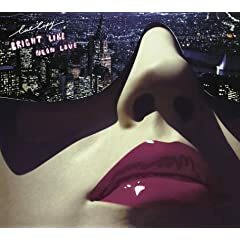 Bright Like Neon Love is excellent. One of the best Electro albums I've heard in a while. Bright Like Neon Love is wonderful. They have a great sound. thats cool. i totally dig that! you right a very mellow sound. this is really good "kickback" party music! Bump for an awesome band. going nowhere is my favorite song off that album, but its a pretty solid album all around, enough diversity to be able to listen to it all too. Anybody know of them? They just released their second studio album not too long ago, In Ghost Colours. I'd read some positive reviews about it so I went and picked it up... and loved it. Their songs are filled with soothing guitar riffs that really add to the tight disco beats and the music is just really catchy in general and fun to listen to.